Indian technology company Smartron which was unheard by many till now has now managed to the talk of the town instantly by partnering with legendary cricketer Sachin Tendulkar to launch their new smartphone which also bears the name of the God of cricket. The Smartron srt.phone was launched with much fanfare in the presence of Sachin Tendulkar at an hour and half long press event. The Smartron srt.phone has been said to be inspired by the cricketer and promises to give excellent performance just like Sachin. The Smartron srt.phone has been carefully priced at Rs. 12,999 for its 32GB internal memory variant and Rs. 13,999 for its 64GB variant. This puts it in direct completion with the very popular Redmi Note 4 which is currently being sold like hot cakes. The Smartron srt.phone will be available exclusively on Flipkart though an open sale. 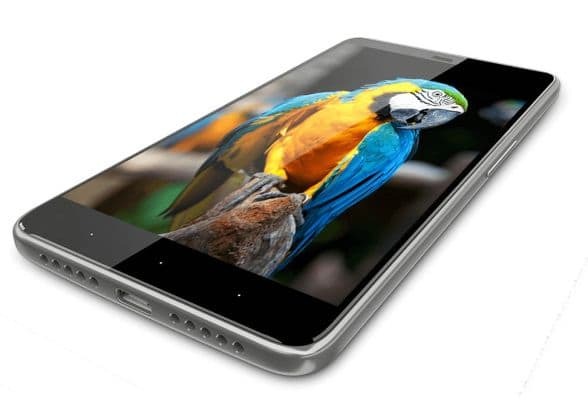 The Smartron srt.phone boasts of an excellent spec sheet that starts off with a 5.5inch Full HD resolution display that has a pixel density of 401ppi and encased in Corning Gorilla Glass 3. You might note here that the Redmi Note 4 has a HD resolution and no Corning Gorilla Class covering. Underneath the hood the Smartron srt.phone performs with the help of Qualcomm Snapdragon 652 chipset that houses a octa-core setup of Quad ARM Cortex 1.8GHz A72CPU and Quad ARM Cortex 1.44GHz A53 CPU and Adreno 510 GPU and 4GB of dual channel LPDDR3 RAM. This makes is much more powerful than the Redmi Note 4 and Moto G5 Plus which are reining kings of the mid-range smartphone market in India. 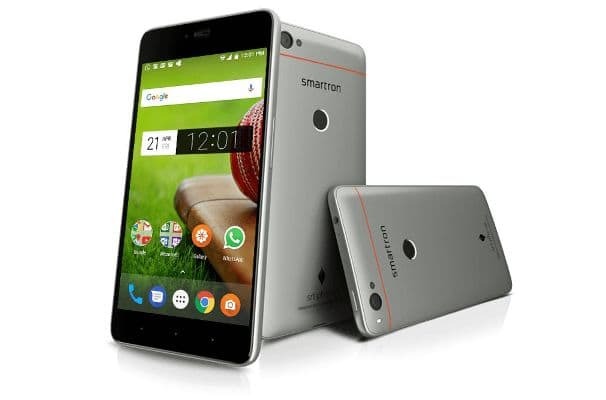 The Smartron srt.phone as we said before is available in 32GB and 64GB internal memory variants. Sadly there is no option of expanding the memory with the help of microSD cards as it does not have a microSD card slot although you can use its OTG function to add a thumb drive to temporarily store media. The company is also offering tCloud storage where you can store data on the cloud without any limits. 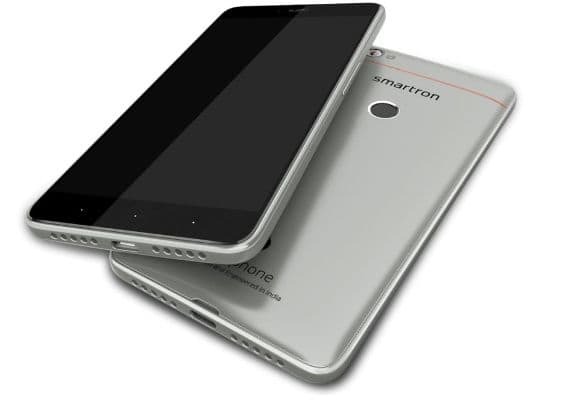 The Smartron srt.phone is one of the few mid-range smartphones to come with USB Type C connectivity with support of Quick Charge 2.0 and an 18W charger which would be handful for charging its 3000mAh battery that can last for a day on average use. The Smartron srt.phone comes with a fingerprint sensor that is located on the rear and dual SIM support. The Smartron srt.phone runs Android Nougat 7.1.1 and company promises to provide upgrade to Android Oreo which is due later this year. 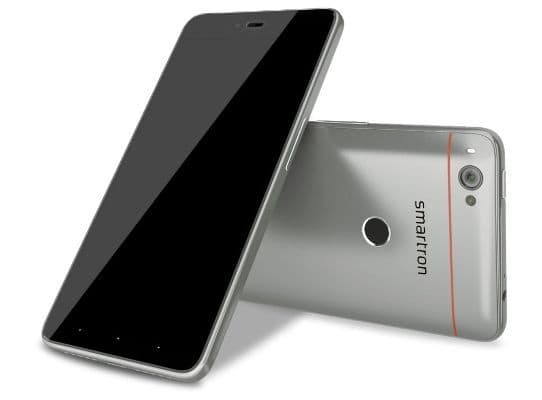 The Smartron srt.phone comes with a 13MP camera on the rear with BIS sensor and flash. On the front of Smartron srt.phone we find a 5MP camera. The Smartron srt.phone supports Wi-Fi, Bluetooth and NFC connectivity. The Smartron srt.phone houses accelerometer, gyroscope, proximity, ambient light and digital compass sensors. It sadly misses out on IR blaster that is found on Redmi Note 4. The Smartron srt.phone will be sold in Titanium Grey colour variant along with Sachin Tendulkar signature back cover. If you but the Smartron srt.phone right now by exchanging your old phone you can get an additional Rs.1500 off on regular exchange value. Axis Bank Buzz Credit card users can get an additional 5% off. If you are short on cash you can opt for No Cost EMI which starts at Rs. 1167 per month. Please visit the source links below for additional information. You can watch the launch event in the video embedded below.